Any non-Japanese Noh enthusiast has sooner or later faced the bitter truth about the scarce interest of his or her Japanese peers. ‘reminds me of my grandpa’.. ‘it’s stuff only good for ojisan’.. ‘isn’t it called Kabuki?’ are only some of the responses I heard from young Japanese when engaged in a conversation on what I think is the most beautiful thing on the planet. 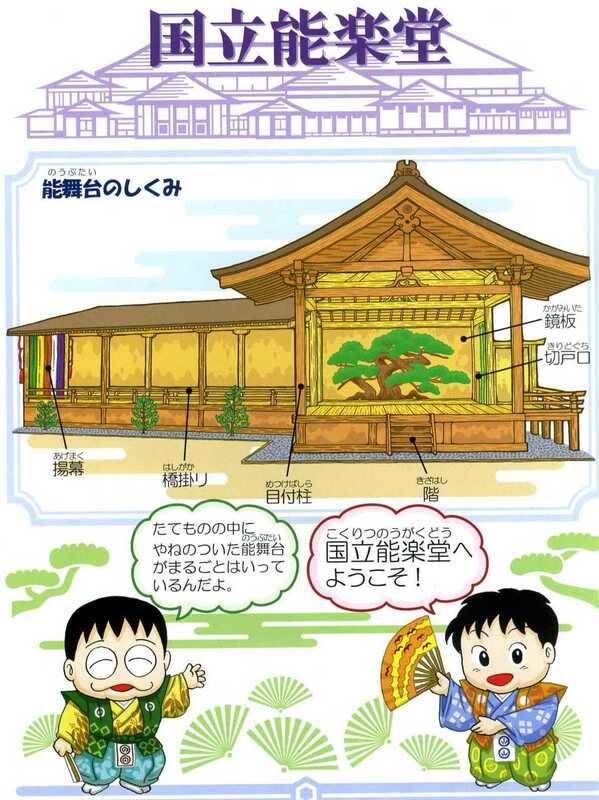 Most of the young generation do not have a clue of what Noh is, and do not bother at all. Its language (performative, poetic, visual) does not speak to the contemporary audience – or, contemporary audience grew too illiterate to be able to understand it. Noh world has lost touch with its audience: it just takes you to go to an average Noh performance to realise the average age is around 60. Shocking, if you are used to go to the Globe. Among the various attempts at healing this broken bound, and reconnect with the lost audience are workshops, demonstrations, exhibitions, inviting non-habitual Noh theatregoers to give it a try. 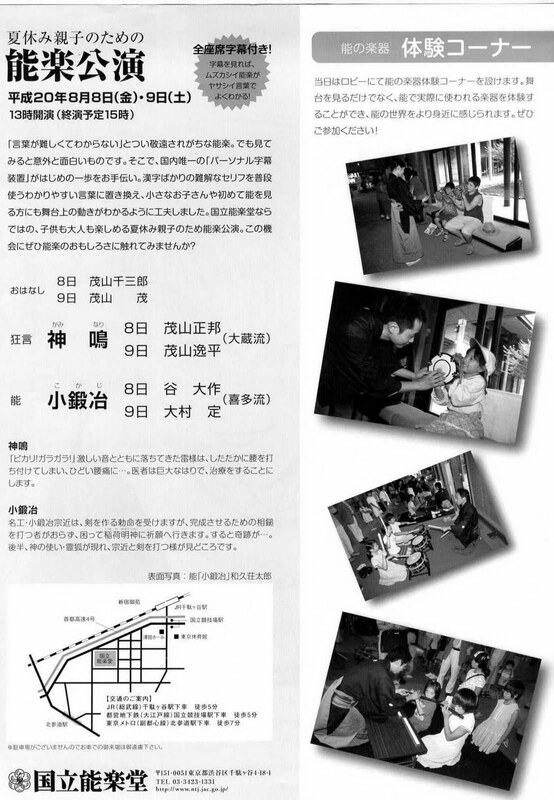 In summer 2008 I attended a most interesting Parents and Children Noh performance at the National Noh Theatre in Tokyo. The programme featured a funny and engaging introductory speech by a Kyogen actor, followed by the Kyogen Kaminari (‘The God of Thunder’) and the Noh Kokaji (‘The Fox Swordsmith’). 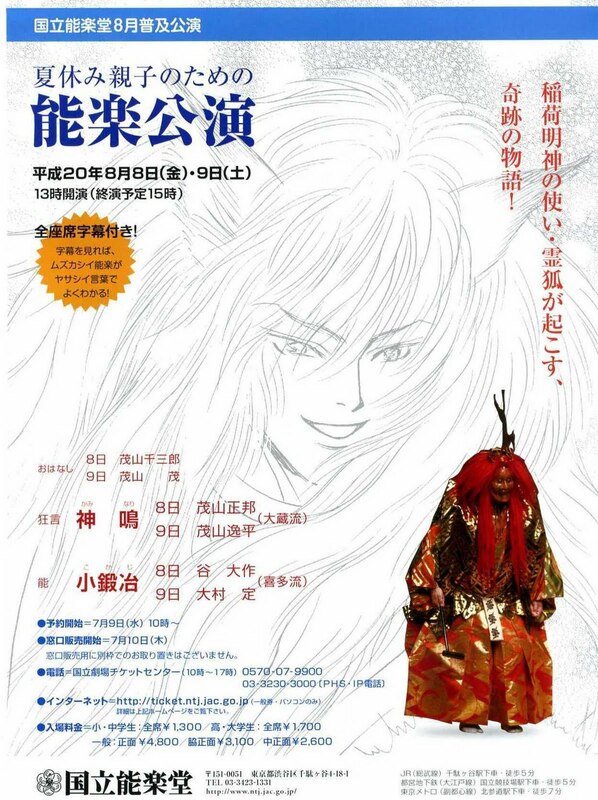 Both plays are very dynamic pieces in the repertoire and in fact resulted in a big success: kids (8 years old on the average) laughed out loud during Kaminari and jumped on their chairs during Kokaji, imitating fights with the magic sword. Children and parents had also the chance to try out instruments and masks in the theatre lobby. 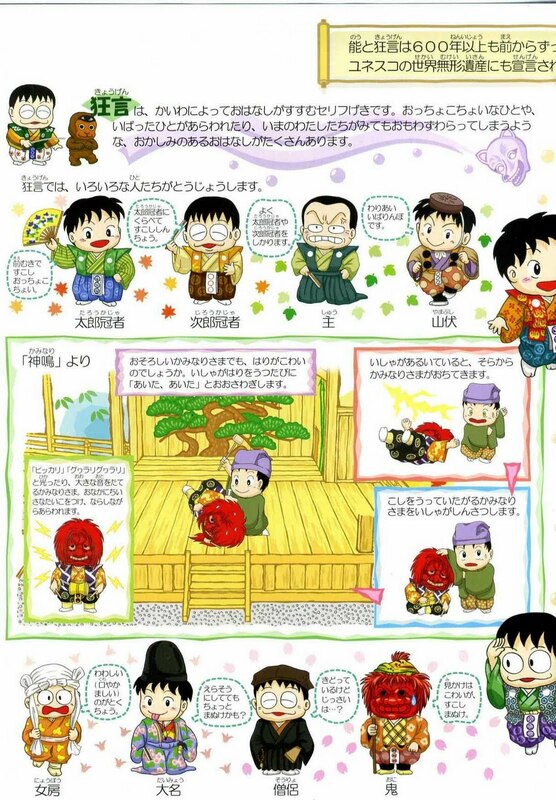 Among the cutest features of the day was the printed programme, introducing Noh and its elements in a deformed manga style. 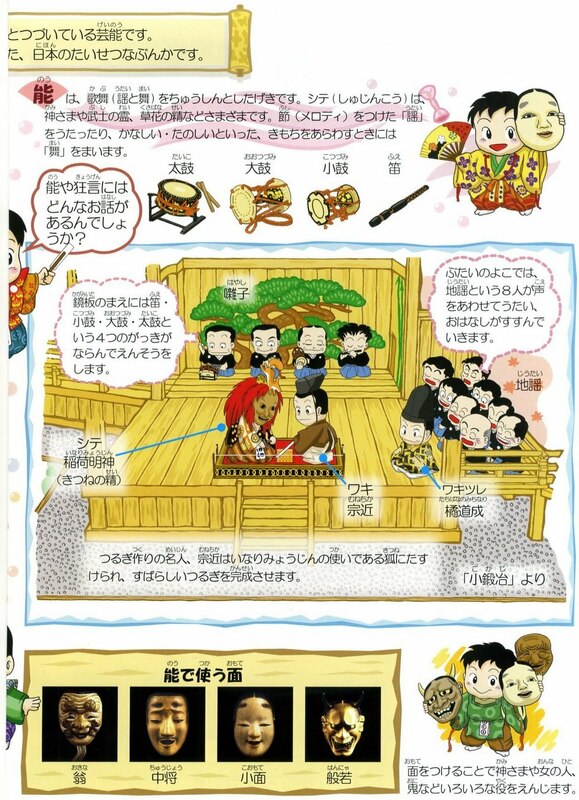 I loved this day at the National Noh Theatre as much as the kids did. How long before they lose their interest?